You’re at a crossroads. You know your house doesn’t quite suite your needs anymore. But should you find a new home, or renovate the one you’ve got? While there’s no obvious answer to this question, here’s what you should consider when making your decision. When trying to decide whether it’s better to remodel or move, affordability is a key issue. Do you have enough resources to make the needed renovations? Get estimates from contractors on what your renovations might cost. Conversely, if you do decide to sell, will you need to make any repairs or upgrades before listing? It could be worthwhile to hire a home inspector to find out just what issues will need to be addressed. Once you have all the data, you can crunch the numbers to see which scenario makes the most financial sense. How long will renovating take? If you haven’t done any serious renovations lately, you may have forgotten just how long they can take. And if you’re remodeling a central room like a kitchen, it can seriously cramp your style for weeks or months on end. Do you have the patience to live in your home while it’s being remodeled? If not, can you afford to relocate while the renovations are taking place? Even if your home isn’t exactly what you need, how do you like your neighborhood? Being in a great location has a huge effect on your well being. Do you have great neighbors or live in an excellent school district? Are you willing to take a gamble on those things in a new house? If you really love your corner of the world, it could make sense to renovate your current home instead of looking for a new one. Can you use your current home in a new way? Sometimes it just takes a little imagination to make your current home suite your needs. Have you let clutter pile up over the years? If you do a major cleaning, you may discover that you have more room than you thought. Can you turn that guest bedroom into a much-needed office space? Or maybe you can invest in some new furniture that fits the space better and doesn’t make it feel so cramped? Sometimes, all you need to do is look at your home with a new set of eyes to see the possibilities. 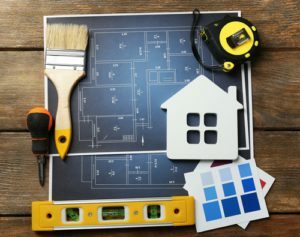 Lastly, it’s smart to consider whether or not those renovations will actually add value to your home. Sometimes your home is perfect as it is, even if it isn’t exactly what you want. If you find that your renovations will suddenly make your home the biggest and best on the block, that isn’t always a good thing. You can over-improve your house to the point where it may be difficult to sell down the line. Ultimately, you will need to take into consideration both financial and emotional factors when deciding whether or not to sell or renovate. Asking yourself the above questions should help to provide you with some clarity.